The XY or Scatter chart is a very useful way to plot points across 2 axis’s to identify trends or anomalies. It is also a nice way to present results. However, this is one chart type where it is critical you have labels in order to know what points relate to what data and it is relatively difficult to achieve this in Excel (can be done but a very manual process) . 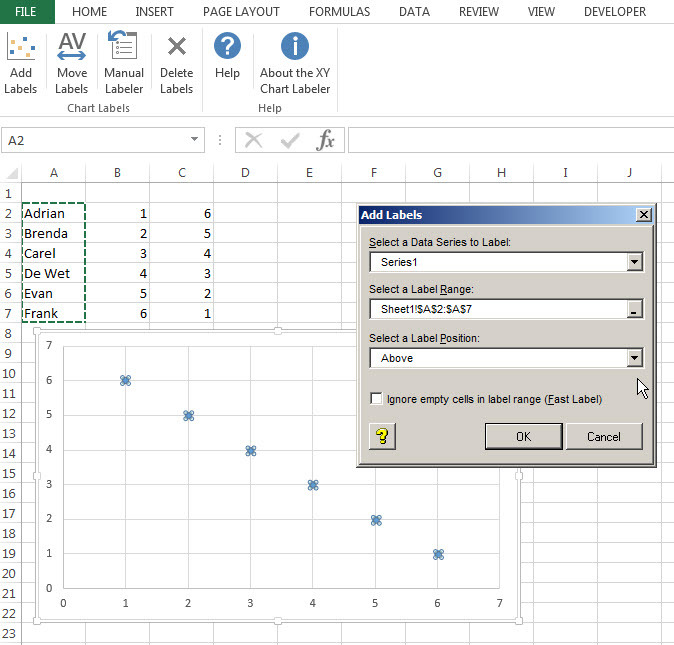 The XY Chart labeler in Excel is an add in we find useful in automating the labelling process. You can download it from the XY Chart Labeler download site . 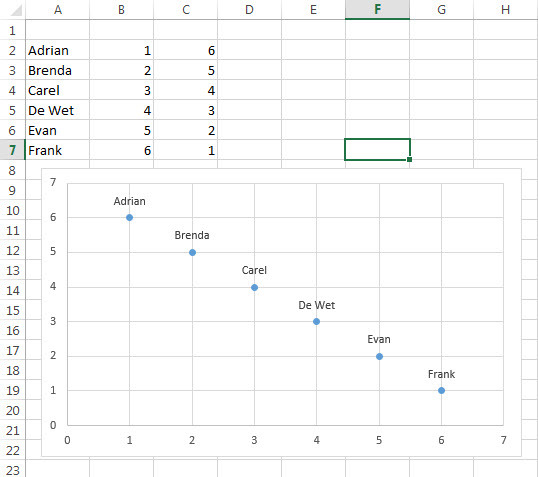 As shown below all you do is create a XY or scatter chart and then activate the ‘Add Labels’ button. You can then specify where the corresponding labels are. You also have some options to move the labels or to manually add the labels to individual data points. The end result is individually labelled points in the XY chart in a fraction of the time that it would take you to do it manually. Furthermore, the labels are linked to the cells so that if you change the name in the cell, the chart updates!